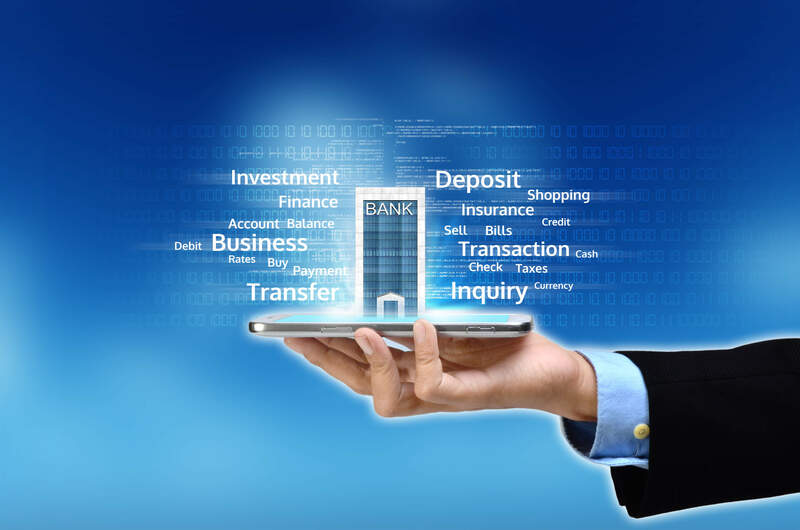 Anyone in the banking industry can tell you that financial services firms are some of the most heavily impacted by digital transformation trends. But while banks have slowly embraced disruptive technology in years past, there’s widespread recognition that there’s a fork in the road—transform now with Open API projects or risk falling behind the competition. Taking advantage of Open APIs, or 3rd party applications and services, banks can rapidly enhance their digital offerings. According to a Celent study of the top trends in corporate banking, the banking industry is experiencing a digital transformation trifecta. Three influences are converging to move banking systems into the future: integration, customer journeys, and open banking. Emerging businesses like payments and cash management services have opened the $780 billion market up to competition, which presents the perfect opportunity for traditional banking brands to capitalize on these digital transformation influences and begin to differentiate their services and experiences. However, disruptive FinTech companies have set high expectations in the minds of banking customers for instant gratification and hyper-personalization. Traditional strategies won’t suffice—open banking is key to meeting the demands of today’s digital customers and their expectations for mobile experience and accessibility. Open APIs serve as the foundation for an open banking strategy that brings together the agility and flexibility of FinTechs with the stability and experience of traditional banks. But as important as open API projects are for the future of banking, you can’t just dive in head first. Before starting any open API project, these are the four questions you need to answer. 1.What Value Does This Open API Offer to Customers? Forward-thinking banking brands have begun to adopt new technologies and embrace digital transformation. But, there’s a tendency in the industry to think of products and services first or to focus on streamlining internal operations and making core (legacy) systems more effective. For open banking (and individual open API projects) to succeed, banks must think of the customer first and foremost and measure value in terms of customer needs. Two existing open banking APIs serve as examples of the line between focusing on internal value and focusing on customer value. For example, the Experian Connect API allows developers to embed credit functionality into third-party websites and mobile apps. And, for banks, the Experian Connect API enables a plug-and-play FinTech service that can help reduce customer churn. But at the start of your open API project, you should be thinking about how this service extension helps customers—in this case, by streamlining the credit-checking experience and reducing friction from whatever internal processes necessary to fulfill the customers’ credit checking request. Similarly, the National Change of Address API gives banks simple notifications when customers change addresses. For banks, this might mean a significant time and cost savings. But for customers, it means not having to go through multiple phone calls and paper forms to convey a recent move. It’s important to understand that while you’ll easily see the business benefits of implementing internal APIs, that may not be the case with Open APIs. This is obviously true If the customers you are attempting to reach with Open APIs don’t actually utilize the solution. Focus the value your customer will receive with an Open API first to ensure the project is executed with the best intentions and the most long-term potential. 2.Who Is Responsible for Delivering Open API Value? The banking industry has recently bought into Jeff Bezos’ idea of the “Day 1 Company.” A Day 1 company is always at the beginning of its potential, rather than setting into the status quo and falling into decline. For FinTechs, this Day 1 mindset is second-nature. As a result, delivering open API value is part of the company culture, and it’s more natural to identify a key leader responsible for delivering value as the result of specific projects. The same cannot be said for massive banking brands. Because there can be many more people involved for traditional banks, such as line of business and customer service teams, it’s important to establish a specific team for each new open API project. Understand who is responsible for delivering the customer value you’ve detailed from the first question above (What value does the Open API offer to the customer?). Depending on the project, open API development can be complicated, and banks shouldn’t fall into the trap of thinking it can be a simple side task for an already busy IT employee or an overburdened customer service team. 3.How Does the Project Support the Overall Digital Banking Strategy? No single open API project represents open banking as a whole. For traditional banks embracing open API trends, there are many different open APIs that will contribute to the objective. And these open banking objectives must be supportive of the digital banking strategy. When you’re ready to start a new open API project, you have to consider the larger digital banking objectives of the company and consider how your efforts will contribute to them. Are you focused on facilitating the connected customer? Are you trying to create new business? Are you working to become more agile to adapt to customer demands? Everyone wants to sell new services and use APIs to improve conversions. But these are high-level objectives. Figure out how your new open API project fits into the strategy, and you’ll see a return on the investment of time and resources. 4.What Lessons Are We Trying to Learn from the Project? In the early days of digital transformation, the banking industry was criticized for falling too far behind new technology adoption. Rather than diving in early and learning from mistakes, regulatory concerns and legacy systems made it difficult for banks to move fast enough to gain digital momentum. These four questions aren’t meant to complicate open APIs for banking brands just getting ready to take steps forward. Instead, they’re meant to generate ideas that safeguard you against major mistakes that might crop up with moving too quickly without a set plan in place. Open API projects can help prepare your organization for rapid digital transformation. Answering these questions should help expand the benefit of your first project. If you want to learn more about how real financial institutions are benefitting from open API software, that discusses how a global bank used OpenLegacy to launch a Global API - the foundation for customer experience innovation - within days.